This large trade paperback, in colour, and decently printed, is probably the best way of owning these comics, if you don’t insist on having the originals. But this is still Avengers feeling its way, rather than at its very best. 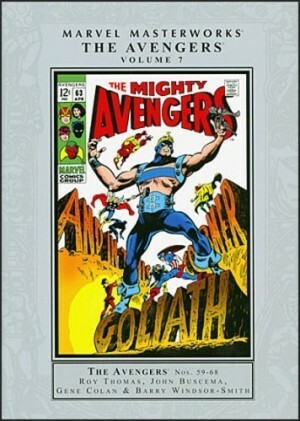 These comics, from 1965 to 1967, have previously been collected in the end of Essential Avengers volume one and the beginning of volume two, in Avengers Masterworks volumes three and four, and across volumes one and two of the Avengers Omnibus series. 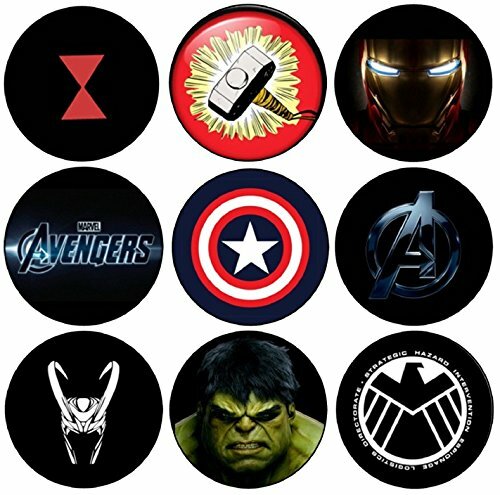 They see the ranks of Marvel’s premier superhero team slowly grow from the low-powered quartet of Captain America, Hawkeye, Quicksilver and the Scarlet Witch. 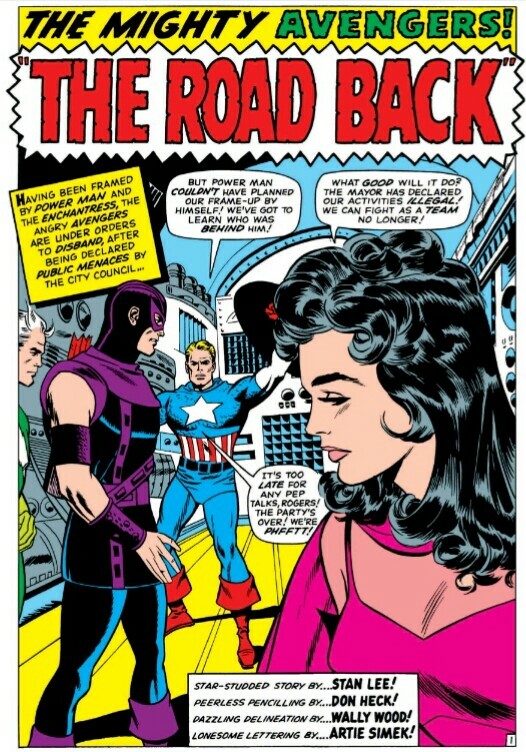 Cap leaves briefly early in this run, but in the title story he returns to his responsibilities as team leader. Goliath and the Wasp return, the Black Widow becomes a recurring character, and at the end, Hercules joins as a substitute Thor. The characterization within the group is much more interesting than in the early days of the title, even if there is a tendency for male characters to go on prolonged sulks. 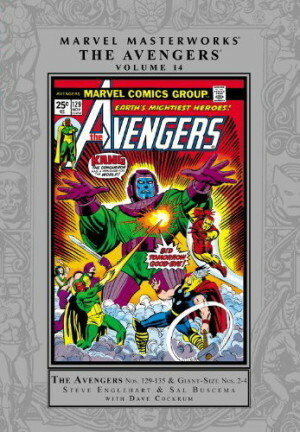 There’s development for various villains, especially Kang, and another boost when Roy Thomas takes over scripting responsibilities from Stan Lee. There’s also a definite improvement in the artwork. 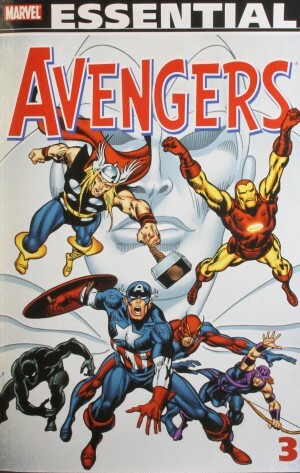 Don Heck left Iron Man about the time these stories begin, and consequently Avengers started getting his best work. He also evidently no longer felt such pressure to draw like Jack Kirby. The result is some of the best artwork in Avengers so far, especially when Heck was teamed with a sympathetic inker such as Wally Wood (see sample image). That said, few of the stories are truly memorable. 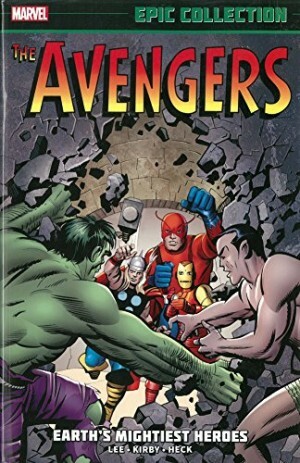 Roy Thomas would write some exceptional Avengers stories, but not for a year or so after this collection ends. The material here represents more an attempt to explore what Avengers might be, rather than a firm assertion of what it was at that moment. 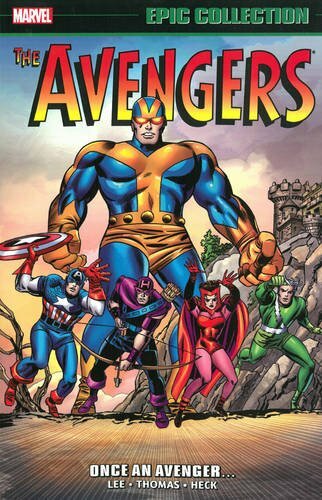 Good for the Avengers fan who wants to know the background, and for admirers of Don Heck, but for a taste of what the fuss was all about with Avengers, go to the fourth volume in this series, Behold … The Vision.